Protek Group Limited will determine the purpose and means of processing of the personal data you provide to us. We collect personal data about you, which includes your name, address and contact information, as well as details of what it is you want to arrange insurance for. In order to quote on certain types of insurance we will need to collect sensitive personal information about you, which can include such things as criminal and motoring convictions and health conditions. If there are other people who will be named on the insurance policy, or who will be a beneficiary of the insurance, we may need to collect similar personal information about them too. Before you tell us personal details about another person, you will need to make sure that you have their permission to give us their information and that they understand how we will use it (they can view our Privacy Statement on our website at www.protekwarranty.co.uk). Some of our premises have CCTV for security reasons and images will be recorded and retained for a period of 6 months before being deleted. We need to collect personal information in order to obtain insurance quotations that you have asked us for and, if you accept our quotation, to enable us to arrange and subsequently administer the contract of insurance. If you make a claim against your insurance contract, we will need your personal information to process this for you. We will not collect any personal data that we do not need in order to provide our broking services to you. Cookies are used on our website to make it work more smoothly and improve your experience as you use it. They also provide anonymised tracking data to third party applications like Google Analytics. To find out more about cookies and how you can control or delete these visit www.aboutcookies.org. All of the personal data we collect is processed by our staff in the UK. However, for the purposes of IT hosting and maintenance, this information is located on servers within the UK and European Union. Information you give to us will be treated as confidential and will not be disclosed other than to insurers, or other specialist or wholesale insurance markets we may use to place your insurance, and in the normal course of arranging and administering your insurance. In the event of a claim, we may need to provide your personal details to a loss adjuster, or other third party who is involved in providing a service in the settlement of your claim. We will use your name and contact information to tell you about important information that may affect your insurance, such as changes in law and advice on risk management. We may also send you information about other products and services we offer that would complement your existing insurance arrangements with us or which would offer protection against other insurable risks we have identified which may be suitable for your needs. You have the option to unsubscribe from this service at any time. Information we hold may be used for research or statistical purposes, but this would be on an anonymised basis so that you could not be personally identified. We will not give anyone else your personal information except on your instructions or authority, or where we are required to by law, or due to our regulatory requirements. If you take out a policy with Protek Group Limited, the contracts we have with insurers require us to keep your personal data for a minimum of 7 years after your policy lapses, after which time it will be destroyed or deleted from our systems. If there is no contractual requirement to retain your personal data we will also destroy or delete it after 7 years to comply with regulatory reporting requirements. If you ask us for a quotation but do not take this up, your personal information will be deleted immediately after the quotation expires unless you provide us with consent to retain this and quote at your next renewal. If you have given us your consent to use your information for other purposes, we will keep this data until you notify us that you no longer wish us to use it for the purpose (see below for more information about what this purpose might be). 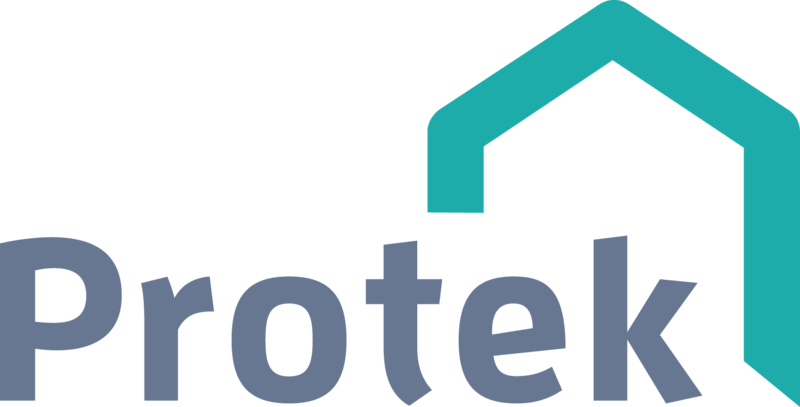 We would like to use your name and contact information to tell you about other products and services that Protek can offer that we think may be of interest to you. If you have contacted us for a quotation and decided not to take it up, or if you are a customer of Protek and your cover lapses , we would like to contact you at the appropriate time in the future to offer a free, no obligation re-quote. We will ask for your consent to use your information for this purpose when you contact us for a quotation or take out a new policy or, if we have not previously asked, when you contact us to lapse your policy. If you do give us your consent, you have the option to withdraw this in whole or in part at any time by unsubscribing from emails, or by phoning or emailing us. We will remind you of your consent choices when your policy comes up for renewal to make sure that you can change these if you wish. We will never share with or sell your information to a third party. If at any point you believe the information we process on you is incorrect you can ask us to update or correct it. You can also ask to see the information that we hold or ask that it be deleted. Please be aware however that deleting your information will affect our ability to administer your insurance or assist you with a claim or complaint. If you wish to raise a complaint on how we have handled your personal data you can contact our Data Protection Officer who will investigate the matter. If you are not satisfied with our response or believe we are not processing your personal data in accordance with the law you can complain to the Information Commissioners Office (ICO) by calling their helpline on 0303 123 1113.